I have been feeling pretty listless since coming home from Norway. 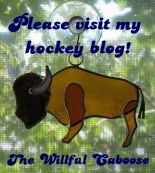 I am unsure where to direct the energy I had been using on practicing and fantasizing about living in a far away place. Now, I find myself without a plausible daydream, and searching for the next bee to put into my bonnet. I wish I knew what to do with myself. I'm looking for a sign. Which is why when this happened, I had to stop and take a picture. 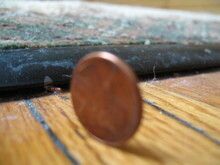 The other day I dropped a penny, and it landed on it's edge. 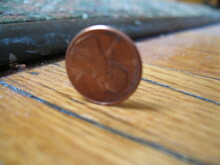 This penny represents the most wishy-washy "sign" in all of history. It also perfectly encapsulates my mood.